Kerala’s Electricity Minister A. K. Balan has finally admitted that: the LDF is not going to be returned to power in Kerala. Well, he said it in a different way. The newspapers were unseen enemy of the people. If people continued to read newspapers, the LDF government would not be able to come back to power despite it carrying out programmes for the welfare of the people. 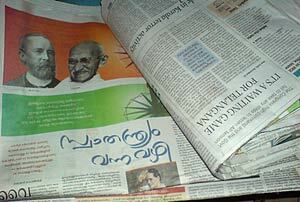 (Mathrubhoomi, September 12, 2010). He claimed that the Kerala government had surpassed even China in respect of developmental activities. But only if the people stopped reading newspapers could the government return to power. Of course, Balan is not Thomas Jefferson to say: “Were it left to me to decide whether we should have a government without newspapers, or newspapers without a government, I should not hesitate a moment to prefer the latter “(Thomas Jefferson, 1787). Nor is he a democrat like Nehru who said: “I would rather have a completely free Press with all the dangers involved in the wrong use of that freedom than a suppressed or regulated Press.” (Speech at the Newspaper Editor’s Conference. 3/12/1950). He is a communist who had for long wished that the dictatorship of the proletariat, as practiced in China, could be established in India. But India embraced democracy. As a consequence, he could not wish away the Press or keep them under control as in China. So, defeat of the LDF has become a certainty in Kerala with the newspapers flourishing and free to write anything about the contributions of the government to the masses. It has been encouraging lotteries and encroachment of land as a means to become rich quick and toddy shops and bars for a kick. The newspapers portray them as the opium of the masses. The people do not see that their real enemies are the media and not liquor barons and lottery distributors. They had turned the people against the government at Kinalur, Attappady, Kannur, Kochi and several other places where the government had planned developmental projects. The media even fail to see the advances made by Kerala over China. While the Chinese could not take up construction of the Vizhinjam International Transshipment Terminal owing to conspiracy by the Central government, the State government itself has now decided to take up the construction of the road to the proposed project site. The work has been inaugurated though it is yet to start. The Chinese could not even win the contract for building the terminal while the State government is now busy awarding the contracts for building the roads to the State’s own PWD contractors. Several publishers now see their newspapers and periodicals as a commodity. Past norms are being altered to increase revenue and stay competitive. If they are indeed products, laws that apply to consumer products should apply to newspapers and periodicals also. Politicians and others used to purchase reporters, often ‘cheaply’. Politicians who embezzle crores of rupees from the exchequer could befriend journalists by throwing them a party or giving them minor gifts like a pen. Some reporters were also known to demand gifts from business houses and others seeking publicity. Politicians and businessmen used to have not much access to editors as they functioned from offices. So, they served as gatekeepers. Now, business houses have found access to the editors either directly or through their advertisement departments. News items are being paid for directly or indirectly. Most editors and publishers have succumbed to the lure of money that they brought. Some even charged for election coverage. Journalists have often claimed that self-regulation was the best for them and their publications. This had justification when free expression was being threatened by authorities, and the argument may still valid when the authorities try to influence content. However, with paid news getting acceptance, self-regulation has failed at least in respect of separating news and views from advertisements. Only the Editors Guild is feebly speaking against paid news and none of the publishers seems to mind them. So, it is time that the Parliament stepped in. It should pass legislation that makes it mandatory for the news organisations to label their content– as news, views, advertorial or plain advertisement. If makers of food, drugs and other items should indicate the content of their products on the label, it is only appropriate that the publishers are also forced to do so. Politicians and others used to purchase reporters, often ‘cheaply’. Politicians who embezzle crores of rupees from the exchequer could befriend journalists by throwing them a party or giving them minor gifts like a pen. Some reporters were also known to demand gifts from business houses and others seeking publicity. Politician are businessmen used to have not much access to editors as they functioned from offices. So, they served as gatekeepers. Journalists have often claimed that self-regulation was the best for them and their publications. This had justification when free expression was being threatened by authorities, and the argument may still valid when the authorities try to influence content. However, with paid news getting acceptance, self-regulation has failed at least in respect of separating news and views from advertisements. Only the Editors Guild is feebly speaking against ‘paid news’ and none of the publishers seems to mind them. Most newspapers in Kerala ignored the news though it concerned their fraternity. It was not because it lacked news value. For the words had come from none other than former president of Sri Lanka Chandrika Kumaratunga. She spoke to the media at the Chief Minister’s Office in Trivandrum during a visit to Kerala. (The visit to V. S. Achuthanandan was described as a courtesy call). She said that press freedoms were in peril in Sri Lanka. A large number of journalists had been killed in the last two years for making honest and legal criticisms. She herself feared for her life if she spoke freely though her own party was ruling the country. The newspapers did not give much importance to these words though it came from former ruler of a neighbouring country. Though activities of the tigers in Kerala had often raised concerns in Kerala,the lack of freedoms in the neighbouring country hardly ever raised an eye-brow. Only Deepika reported her statement that the judiciary too could not function freely in her country. Most of the killing of journalists in Sri Lanka too have not been reported in India, even in the National media. Early this year, the outspoken editor of The Sunday Leader Lasantha Wickramatunga was done to death. Anticipating his murder, Wickramatunga had written an editorial about his (impending) murder which was published posthumously– something that made journalistic history. “No other profession calls on its practitioners to lay down their lives for their art save the armed forces and, in Sri Lanka, journalism,” he wrote. “Let there be no doubt that whatever sacrifices we journalists make, they are not made for our own glory or enrichment: they are made for you. Whether you deserve their sacrifice is another matter. As for me, God knows I tried,” he concluded in his last editorial. The list of persecuted journalists in Sri Lanka is long. 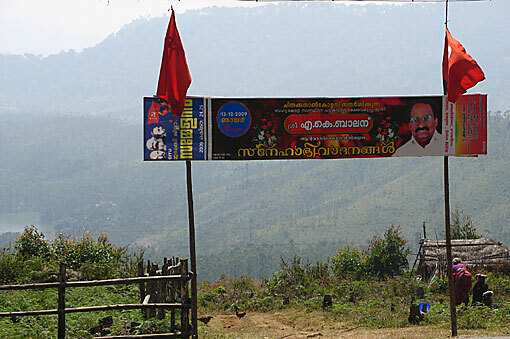 Popular Sirasa Television reporter Paranirupasingam Devakumar was killed, Keith Noyahr, a deputy editor at the English-language weekly The Nation, was abducted and beaten up, Iqbal Athas, the consultant editor anddefense correspondent of The Sunday Times, was threatened and forced to discontinue his column. Several journalists had been killed in Jaffna. Many journalists have been imprisoned by the Government and news had been censored. The Government is also planning to revive the Press Council with the objective of suppressing the media.